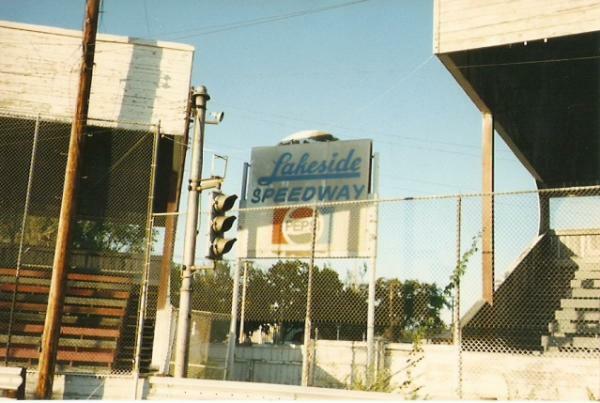 From the late 1930's through to 1988 Lakeside Amusement Park operated Lakeside Speedway on the park grounds. The racetrack was a 1/5th mile dirt oval and featured cars only racing in three divisions, Stock cars, Limited modified and Fully modified. The race track was built over the top of the parks original baseball diamond so as to incorporate the exsisting grand stands. check the link below to a web page dedicated to Johnny Rostek and his story by: Sharon Rostec Ross. 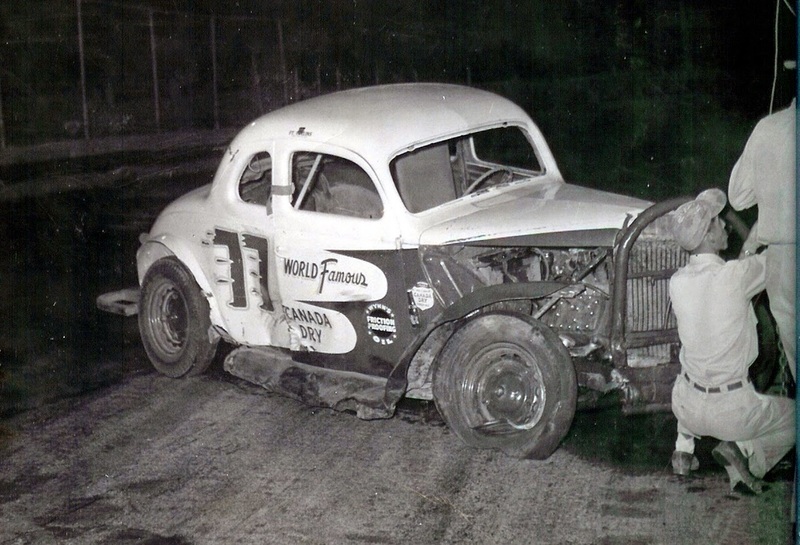 1952 and Pete Ducker would become Lakeside's very first Stock Car Champion. Photo: Dino Mattern. 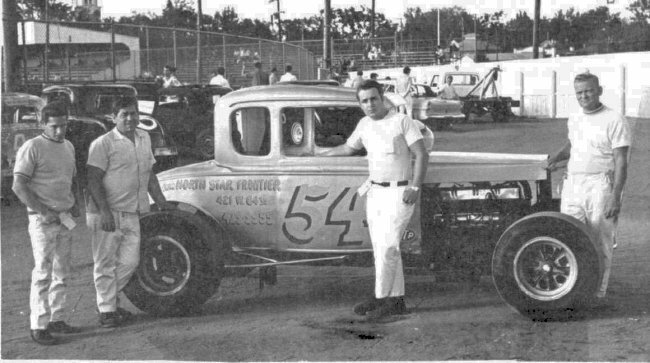 1953 number 53 Vern Grams in his 1932 Ford Coupe. Photo: unknown. 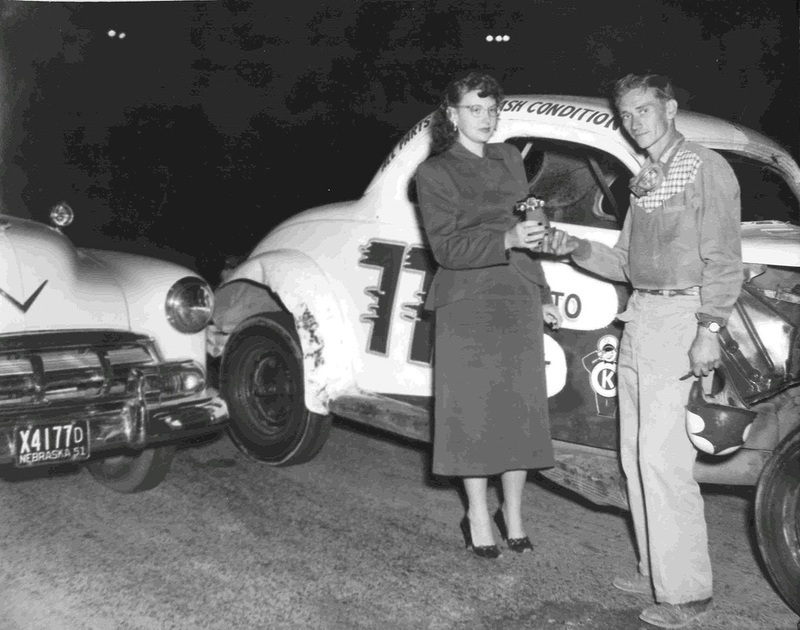 1955 Stock Car Champion Don Wilson next to his number 19 racer. Photo: unknown. 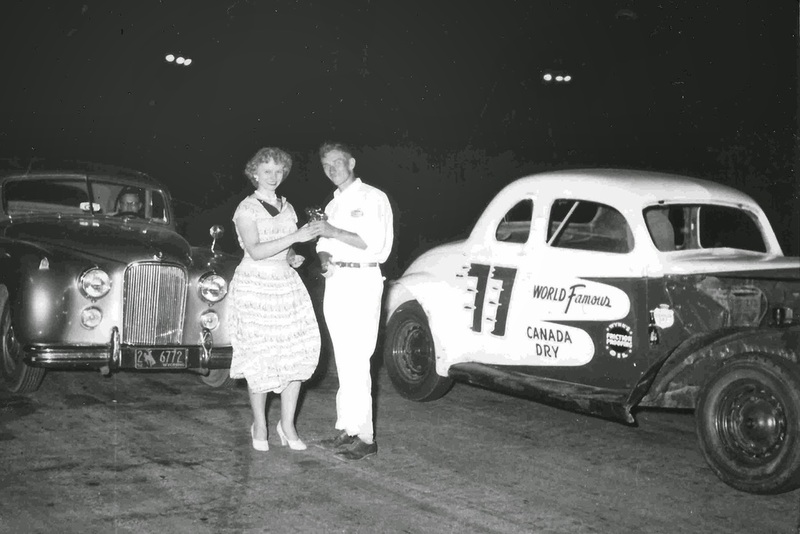 1958 pictured between the crew is Roy Edwards car owner and driver Dan Day with the coupe. Photo: unknown. Johnny Rostek receiving his prize. Photo: unknown. Kenny Hawkins receiving his prize. Photo: unknown. 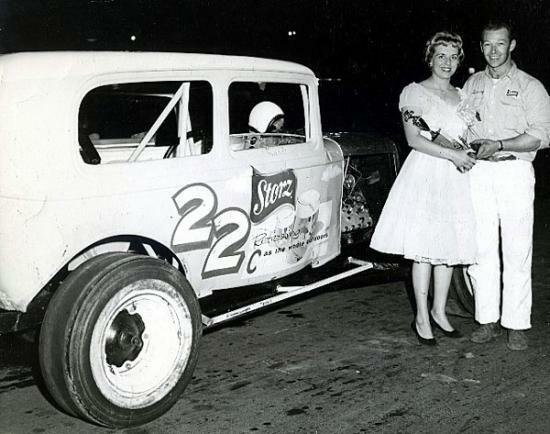 1964 Joe an unknown Stock Car driver and crew at Lakeside Speedway. Photo unknown. 1965 black and white does not do this photo justice, the car was purple and was picture perfect. Photo: unknown. 1968 Tom Pryor jnr flips his 32 coupe in the air while Blu Plemmons in the number 4 coupe and Charles Palmer in his sedan drive by. Photo: Dave Allinger. in the 1970's there was a mixture of early and late model bodies. Photo: unknown. 1984 Larry McLaughlin with the Chris Ertler owned 1931 Chevrolet Sedan. Photo: Greg McLaughlin. In July of 1988 a female spectator was killed after a late model sedan crashed into a track side barrier, sending debris into the crowd.